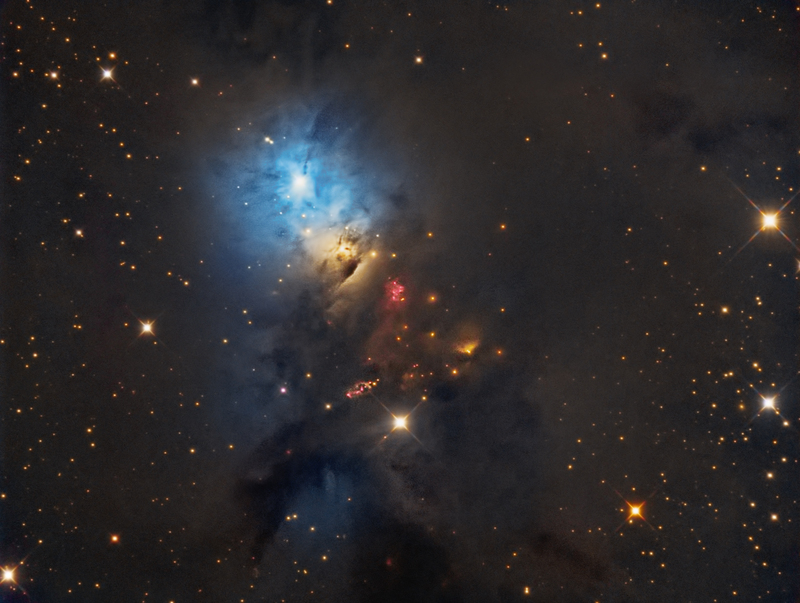 NGC1333 is the currently most active region of star formation in the Perseus molecular cloud. It was first discovered by Eduard Schonfeld in 1855 and is a bright reflection nebula in the western portion of the Perseus molecular cloud. 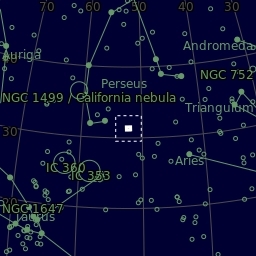 The star BD +30◦549 illuminates NGC 1333 and was found to be a B8 spectral type. It is approximately 1000 light years away and is about 15 light years in diameter. Totalling 25 hours of exposure.